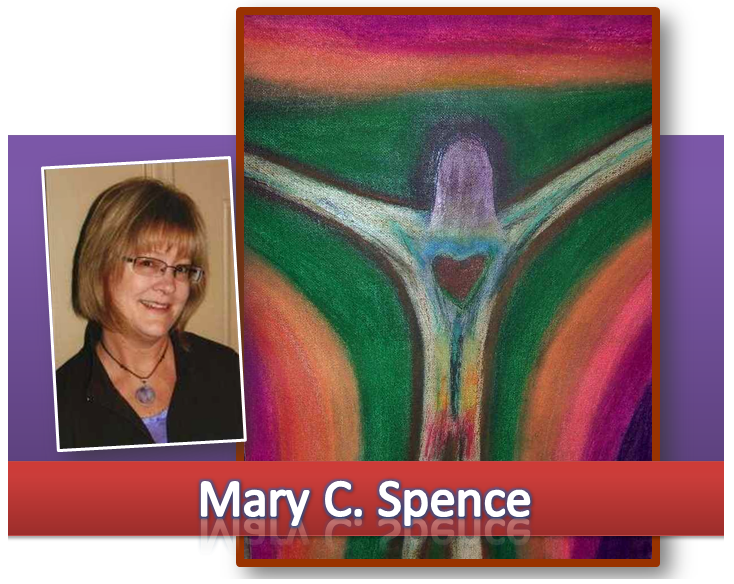 Mary C. Spence has been organizing and motivating solutions for situations and spaces, connecting people and places for over 12 years thru her small business, Made to Organize. She is a Certified Nurse Assistant and has experience as Legal Secretary, Personal Administrative Assistant, Medical Receptionist, wife and mother, PTA Secretary, Girl Scout Leader and Nature Club President. She is 2009 Leadership Kenosha alumni. Mary has recently been published in the “Poems of the World,” Vol. 16. No. 1, Autumn 2011 and at the present time is working on completing a book of poems and photography. Originally from a southwest suburb of Chicago, she now lives in Kenosha, in the woods by a creek with her husband, two dogs, two cats, lots of deer, and birds! She loves nature and uses it as a source of healing inspiration for social spirituality in her photography, poetry and pastel art. This entry was posted on July 17, 2012 at 7:57 pm and is filed under ARTISTS, Photographer, VISUAL ARTISTS, Writers. You can follow any responses to this entry through the RSS 2.0 feed.